During your first call to the funeral home to let the funeral director know that a death has occurred, the funeral director will gather information to be able to transport your loved one to the funeral home. The funeral director will schedule a date and time for you to meet at the funeral home to gather necessary information and obtain required authorizations. Before cremation occurs, the death certificate must be completed and signed by the attending physician or medical examiner, and all civil and medical authorities must have issued all required permits. In addition, necessary authorizations to cremate must be obtained from the next of kin or other authorized person. Regulations in many states also require that a certain number of hours must have transpired since the death occurred (usually 24 to 48 hours). After these conditions are met, the cremation takes place and the cremated remains are placed in the designated container or urn selected for disposition. The family or those authorized to make arrangements will want to discuss with their funeral director specifics concerning a personal tribute to the deceased and whether this will occur before or after the cremation process, or both. We offer a wide variety of cremation containers including caskets, alternative containers and urns to meet each family’s needs. A cremation casket is a special casket constructed from materials that are environmentally friendly. It appears very similar to burial caskets and may be used for a visitation and/or a funeral ceremony or gathering. It is cremated with the decedent. There are also a variety of alternative containers from which to choose. Crematories will require a suitable container to house the body for the cremation process. Cremation caskets or alternative containers are available to satisfy the requirements of a suitable container. In some instances, a rental casket may be available and can be used for a ceremony with an alternative container used for cremation. Services, or gatherings as they are more commonly being called, are held at the discretion of the family. The service or gathering is a place and time for family and friends to come together to celebrate special memories of the decedent and to support each other during this time of loss. Many choose to have a traditional service first, followed by the cremation. Others may have a memorial service at some point before or after the cremation. How does a memorial service differ from a traditional funeral ceremony? A gathering of friends, family and/or clergy provides a meaningful personalized tribute for the person who has died as well as support for the living. The difference between a memorial service and traditional funeral ceremony is that the casket and decedent are not present at a memorial service and are present at a traditional funeral ceremony. Some families also choose to have memorial services with the urn present and that option is available as well. There are several options to consider with a cremation. A family can choose to bury the cremated remains in a cemetery, store and display them at home in an urn, or scatter them in a place special to the deceased. Many cemeteries have created areas specifically for cremated remains. These areas may be in a mausoleum, in a columbarium, in a ground burial area or in a cremation garden offering even more choices. It is necessary to check local restrictions on scattering cremated remains on public property or private property. How can we memorialize cremation? There are many ways to memorialize a decedent after cremation. One option is burial of the urn, marked with a bronze memorial or sculpture. There are also memorialization options available, including keepsake urns, columbarium niches and cremation benches. We can review with you all the choices available to meet the needs of your family or the wishes of your loved one. In choosing a cremation urn, what are my choices? 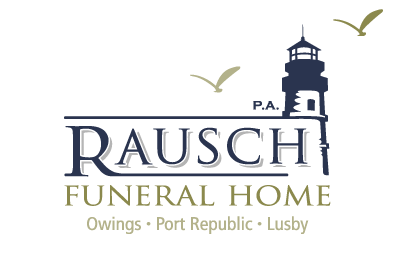 You may choose urns made from bronze, ceramic, glass, porcelain, wood or other materials. Many are designed in traditional vase-like shapes or square and rectangular cubes. Today, there are also a variety of urn designs available to reflect the hobbies, beliefs or lifestyle of the decedent. There are many choices for selecting a final resting place for the urn, including niches in a columbarium and in-ground burial. Isn’t cremation less expensive than traditional burial? There is a wide selection of choices and price ranges for cremation services and merchandise. As with traditional burial, the family will decide how much or how little to spend on a cremation service. With the shortage of cemetery space, isn’t cremation a better solution? There is not a shortage of cemetery space. People choose cremation for a variety of reasons. Choosing cremation is a personal decision based on individual preference and beliefs.